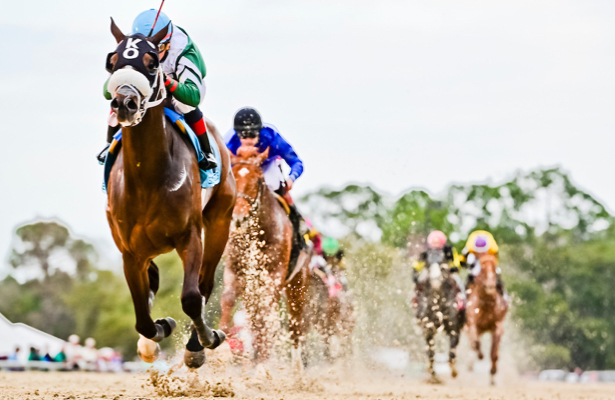 What if a Florida-bred priced at 7-1, racing in his home state, returned to peak form just in time to bid for a spot in the 2019 Kentucky Derby? That’s a story that would live up to the winning name — Well Defined — of Saturday’s Grade 3, $250,000 Sam F. Davis Stakes at Tampa Bay Downs, where the colt offered some locally based connections hope that they’ll have a contender in the run for the roses. Under jockey Pablo Morales, the Kathleen O’Connell-trained son of With Distinction set all the fractions en route to a 2 3/4-length victory going 1 1/16 miles in 1:42.70. Well Defined, who runs for Stonehedge LLC, fended off the top choices at either end of the race. The Grade 1 winner Knicks Go stalked the pace-setter, then faded to leave Kentucky Wildcat trying to chase in the stretch. Neither was a match for Well Defined, who clicked off fractions of 23.24, 47.09 and 1:11.68. Kentucky Wildcat hit the wire second, and afterward according to the race chart was vanned off. Later, according to Tampa Bay Downs publicity, trainer Tom Albertrani reported that the colt was bearing weight and resting comfortably but would be transported to a clinic in Ocala for observation. So Alive, the half-brother of Vino Rosso, ran third, but 11 1/2 lengths behind the winner, with Counter Offer fourth. Knicks Go was fifth and shut out of points paid out on a 10-4-2-1 scale to top finishers. The homebred Well Defined made a name for himself last fall when a 7 1/2-length victory in a state-bred stakes punched his ticket to the Breeders’ Cup Juvenile. Along the way, Hall of Fame jockey Mike Smith signed up to ride. Well Defined ran 12th at Churchill Downs, and he was then fifth when making his 3-year-old debut in Gulfstream Park’s Mucho Macho Man Stakes around a one-turn mile. This colt has done his best running on the lead, however, and with a determined break from the No. 9 hole, he found it Saturday with the Tampa Bay Downs-based Morales. Next on the circuit’s Kentucky Derby trail is the March 9 Tampa Bay Derby (G2).